Mansion Minders and Marketing Inc. If you have a home in the Dallas Tx area that is on the market for sale and is or becoming vacant, or you know someone who needs to relocate, a representative at Mansion Minders and Marketing, Inc. can help you to understand the benefits of having your home professionally “Minded” and decorated. Their services guarantee professional care for your home as well as to help your home to sell faster and for a higher price. It’s a FREE service to Mind and Stage houses. Plus to live in one of their homes is extremely affordable. Achieve your goals by allowing Mansion Minders and Marketing, Inc. to place one of their carefully screened subcontracted Mansion Minders in the home to Mind the home, elegantly stage it like a model, pay the utilities, carry insurance as well as pay a monthly fee for all the upkeep costs as well as the monthly fee to Mansion Minders and Marketing, Inc. It is free service to the homeowner and Realtor. Do you have enough beautiful furniture to stage an entire home and want to save money every month? Apply to become a subcontracted Mansion Minder and you can live in and elegantly furnish a lovely home while helping it to show like a model home to help it to sell. An average stay in a home is 6 month…Once sold and since you did a great job to help the home to sell, Mansion Minders and Marketing, Inc. will help you locate a new home and offer a discounted professional mover to move you. It’s easy…Just fill out the application online and send in your pictures of your furnishings. Serving Luxury Homeowners Throughout North Texas since 2000 with Professional Staging and Home Sitting For Your Peace of Mind. Contact Mansion Minders Today For More Information. Confirming our voicemail of earlier this afternoon, we closed on the sale of our 5,500 s.f. Southlake home this morning. Thanks to the efforts of you and your Mansion Minders, the sale went smoothly and expeditiously. I am the former owner of 5205 Prince Lane in Point Noble. The house was vacant and on the market for a year and half before we contracted with Mansion Minders. Once Herb and Laurie moved in, it was fully staged with a “lived in” look and feel. They also assumed responsibility for utilities and landscape maintenance, reducing the time and expense we had to devote to the property. I am writing on behalf of Mansion Minders, specifically, Amanda and Jeremy Jackson. 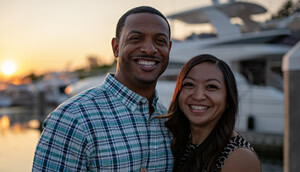 Amanda and Jeremy have now taken care of two of my listings and I have had the privilege of getting to know them over the past five months. 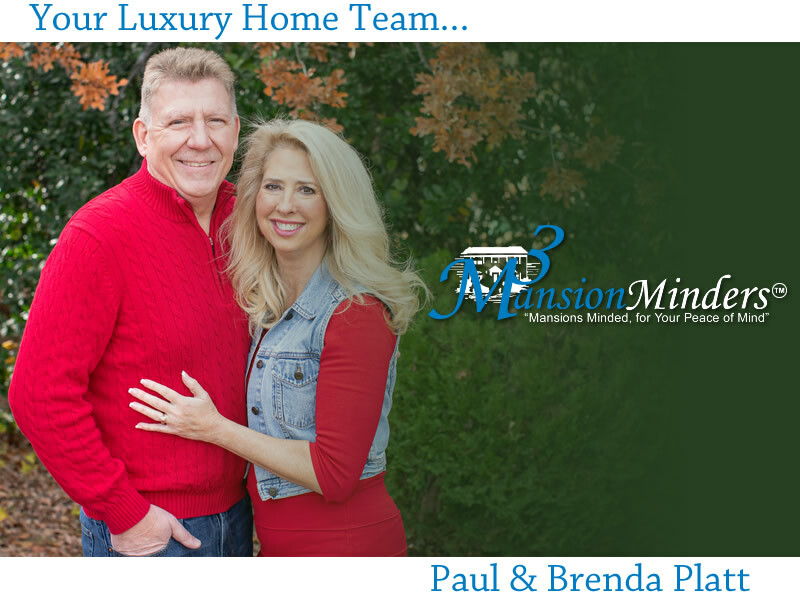 I am writing on behalf of Brenda Platt of Mansion Minders and specifically Mr and Mrs. Jackson who have minded 2 homes for me back to back for approximately 8 months.